We believe the digital assistants will become the dominant way of our conversations with computers, mobile phones and other devices. We are focused on building specialised digital assistants adapted to custom fields, such as use in financial institutions. Our digital assistants use TTS, face recognition, speech recognition, NLP and other technologies. 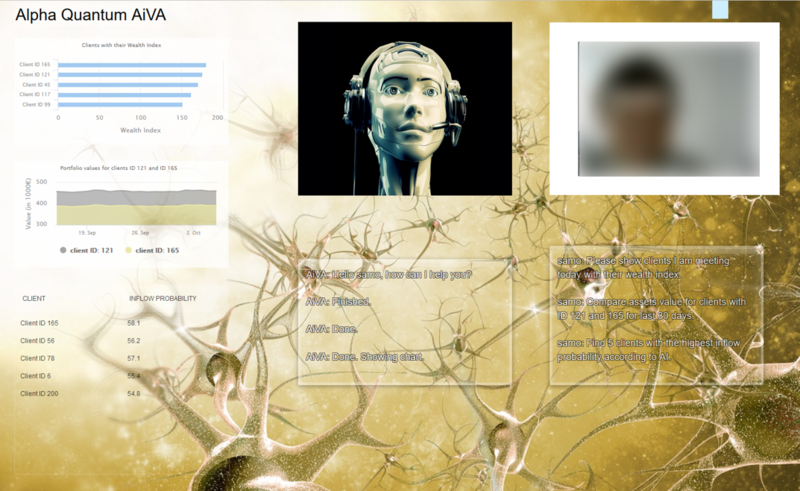 AiVA is our forthcoming specialized digital assistant and uses voice recognition, face detection, text-to-speech (TTS) and deep learning RNN on Big Data to help human financial advisors in their everyday work.